CableWholesale is your one-stop shop for a wide range of IDE cables (Integrated Device Electronics) and SCSI (Small Computer Systems Interface) cables and adapters. These computing essentials are quickly growing in popularity and will likely become a standard. 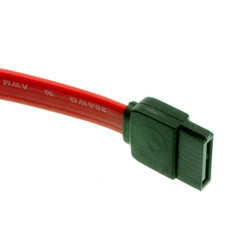 IDE cables, SCSI cables, and adapters are a great option for adjusting or modifying your computer’s drive, and our selection of useful products will help you make the most out of both SCSI and IDE connectors. Shop high-quality IDE cables and adapters as well as SCSI cables and adapters for a huge range of computing applications. Although these two types of cables are generally grouped together, there are some primary differences between the two. IDE ports are ever-present on almost all modern motherboards (more can be added with the help of IDE adapters and controller cards) and typically have 39 or 40 pins. Unlike IDE, SCSI connectors are for more than just drives, and can be used for network servers as well as printers, scanners, and other devices that use the SCSI standard. You can easily adapt one format to the other with an IDE-SCSI adapter. SCSI to IDE adapters are useful for a huge assortment of computing jobs. In addition to adapters, we also carry IDE/SCSI cabling, including serial ATA - or SATA cabling - as well as SAS SCSI cable. Our internal cables are smaller and less intrusive in most applications, making them easier to work with. We also offer an assortment of traditional ribbon-style IDE cables specifically designed for connecting your internal IDE devices plus SCSI II and SCSI III cables. Other useful essentials are available for various computing demands, including SCSI terminators for terminating certain cables, and much more. The majority of our products at CableWholesale come backed by a lifetime warranty for risk-free purchasing! Shop today.